Get Started on Your Journey to Pregnancy Now! Getting pregnant doesn’t come easily to everyone – just because others do not speak about, doesn’t mean they have not encountered issues trying to conceive. Depending on the cause of your infertility, there is a range of treatment options available to help you. If you are wondering why you are unable to get pregnant, speak to our accredited IVF specialist today. Remember, you are not alone, help is at hand. At Astra Centre for Women & Fertility, our fertility specialist will perform a complete fertility assessment before recommending the most appropriate conception plan. From ovulation induction to IUI and IVF, our experienced specialist will work towards your goal of achieving a successful pregnancy. Dr. Fong Yang is an accredited Ministry of Health IVF clinician, with over 20 years of experience in the specialised field of Obstetrics and Gynaecology. He is one of the rare few IVF clinicians who treats both male and female infertility, and was the first in Singapore to perform percutaneous sperm aspiration for men. Prior to setting up his private practice in 2002, Dr. Fong was a consultant at Singapore General Hospital and Changi General Hospital, where he served in the O&G and Andrology clinics. Dr. Fong was also active in the Centre for Assisted Reproduction in SGH, especially their In-Vitro Fertilisation (IVF) programmes. Currently, he also performs Intra-Uterine Insemination (IUI) for women as part of their fertility treatment. Besides male and female infertility, Dr. Fong also has special interest in recurrent and early pregnancy loss or miscarriages. Dr. Fong is very passionate about his field of specialisation and often shares his expertise in public forums and talks. He is also an avid contributor to numerous magazines, newspapers, and makes media appearances to increase awareness in male and female fertility issues. He is effectively bilingual in English and Mandarin, and also conversant in Hokkien and Teochew. Dr Fong Yang is an accredited Ministry of Health IVF clinician, with over 20 years of experience in the specialized field of Obstetrics and Gynaecology. He is one of the rare few IVF clinicians who treat both male and female infertility, and was the first in Singapore to perform percutaneous sperm aspiration for men.Prior to setting up his private practice in 2002, Dr Fong was a consultant at Singapore General Hospital and Changi General Hospital, where he served in the O&G and Andrology clinics. Dr Fong was also active in the Centre for Assisted Reproduction in SGH, especially their In-Vitro Fertilisation (IVF) programmes. Currently, he also performs Intra-Uterine Insemination (IUI) for women as part of their fertility treatment. Besides, male and female infertility, Dr Fong also has special interest in recurrent and early pregnancy loss or miscarriages. Dr. Fong is very passionate about his field of specialization and often shares his expertise in public forums and talks. 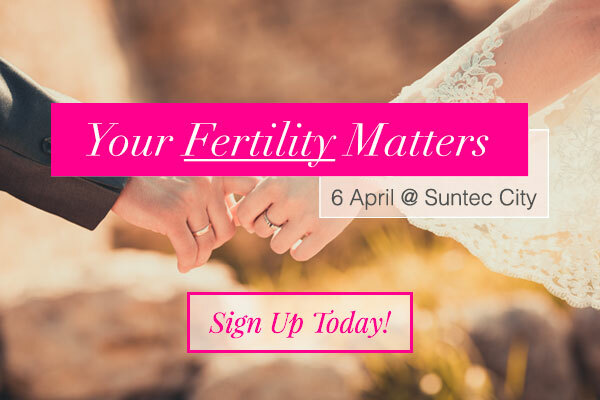 He is also an avid contributor to numerous magazines, newspapers, and makes media appearances to increase awareness in male and female fertility issues.